It’s more densely populated than anywhere (excluding central London), home to the infamous “Rat Island” and this bright little city certainly packs a punch. Welcome to Portsmouth. 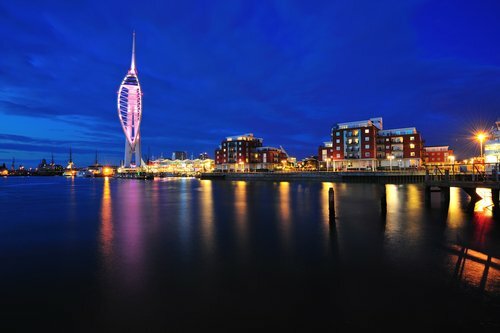 With regards to things to do, Portsmouth has activities in abundance including; nightclubs, art galleries, museums, festivals, art and music. The city also has a rich literary heritage…and after all that exploring, there’s no better way to relax than spending time with one of our lovely ladies. The city’s rolling countryside makes it an idyllic and ideal setting for many to visit. Hayling Island, Emsworth and Gosport are popular spots and you can easily access Southampton and Winchester also, plus our charming escorts make it the perfect place to hideaway and relax. We have a number of beautiful escorts happy to visit you in the Portsmouth area. To see pictures of these gorgeous belles, view their photos on our ladies page here. Contact us to make a booking and learn more about Portsmouth and our beautiful escorts. It was a pleasure meeting Vivian. Thank her for her kindness, support and wishes. She came across as a good listener and empathetic, taking an interest in my story!